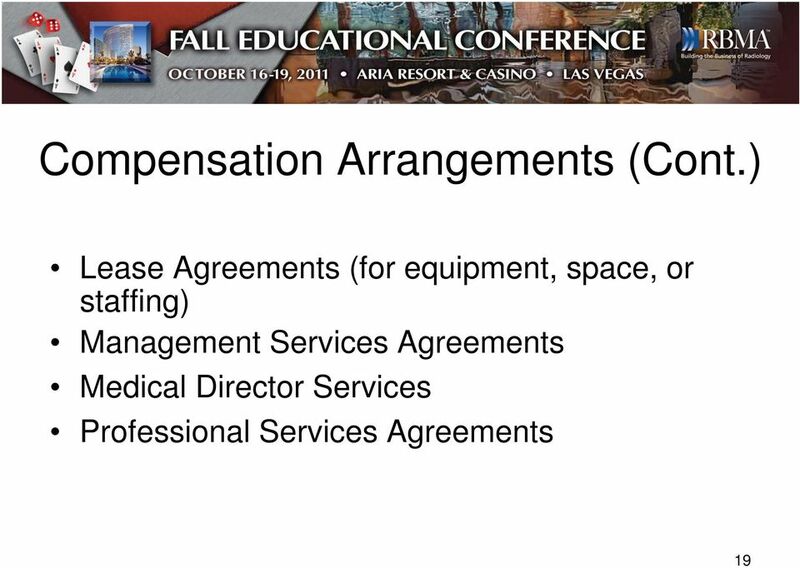 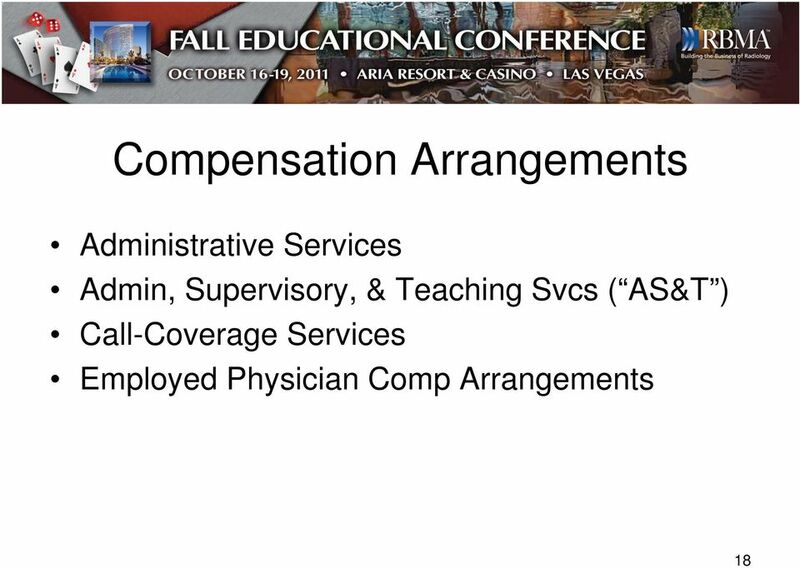 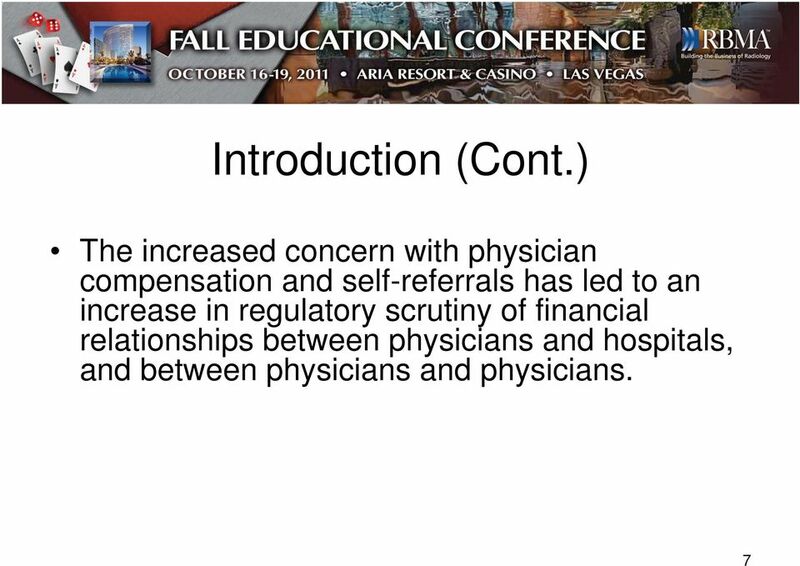 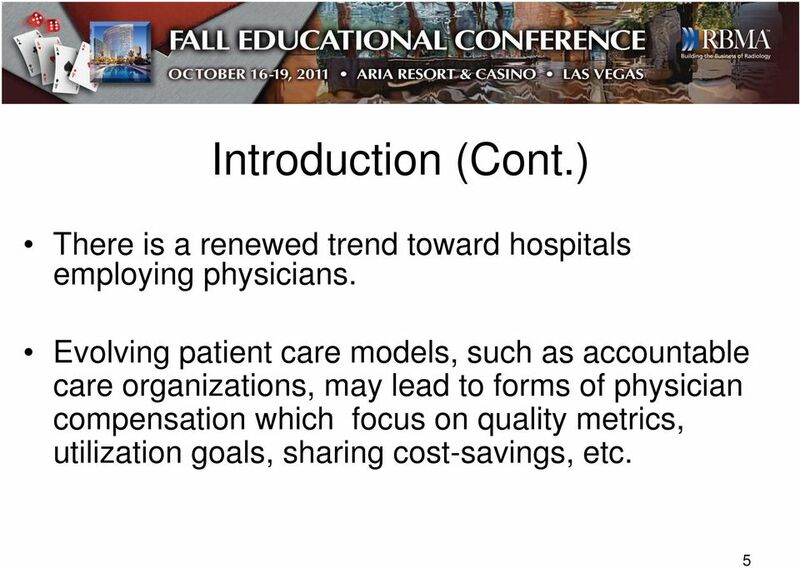 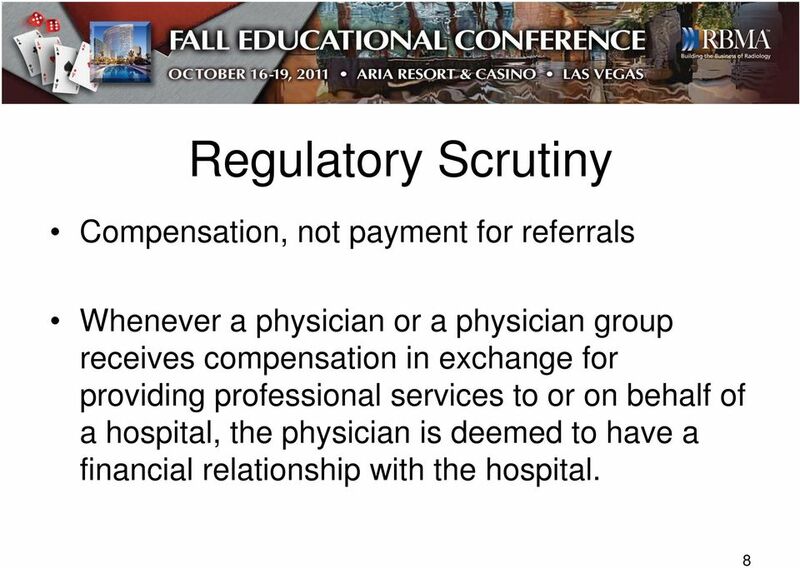 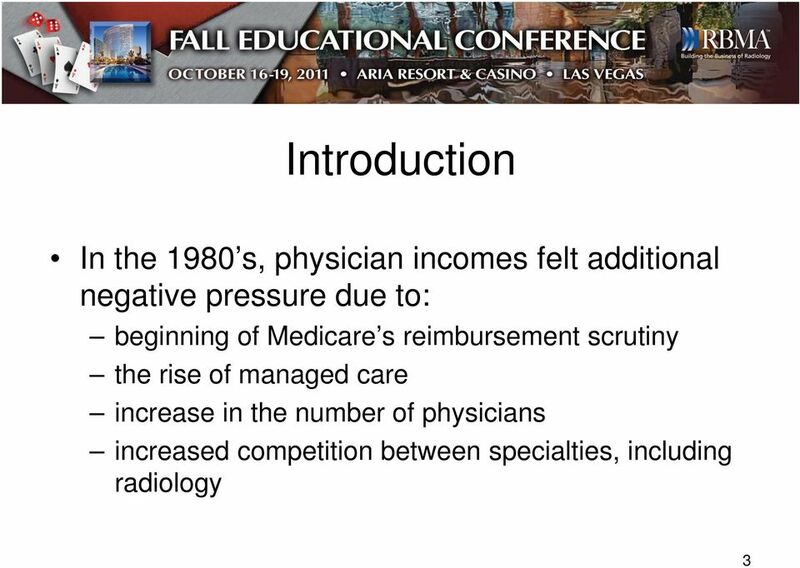 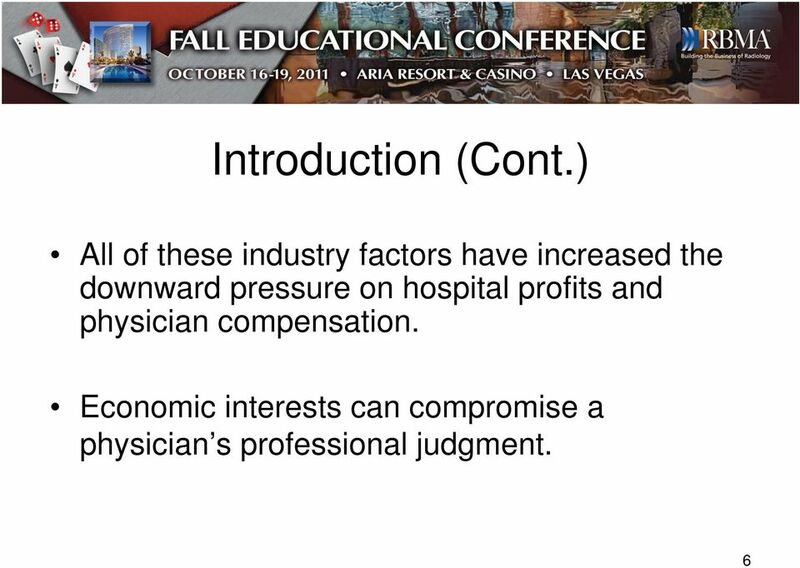 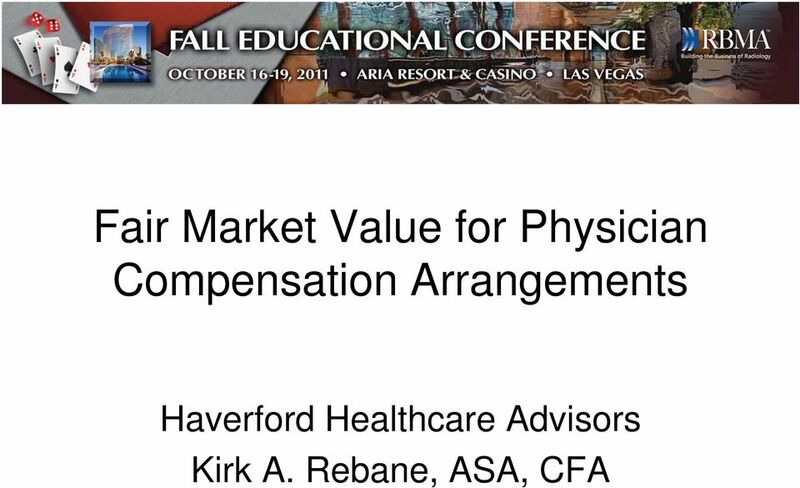 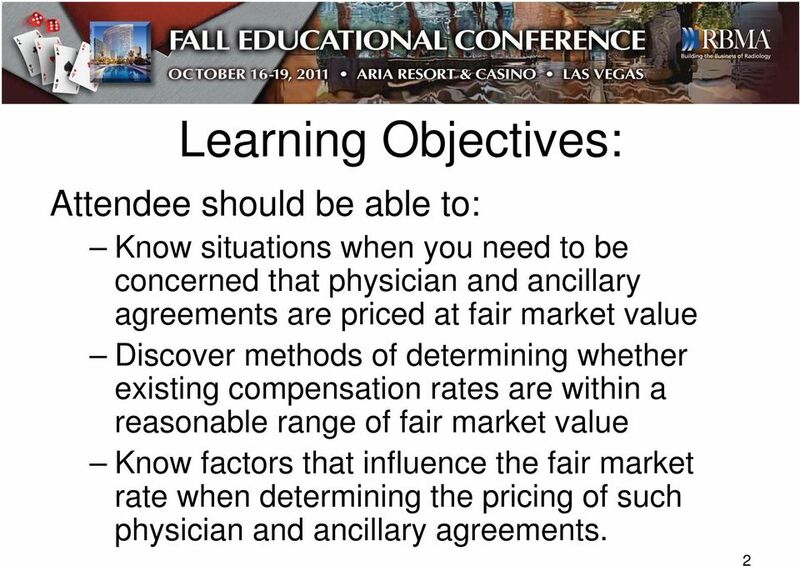 Download "Fair Market Value for Physician Compensation Arrangements. 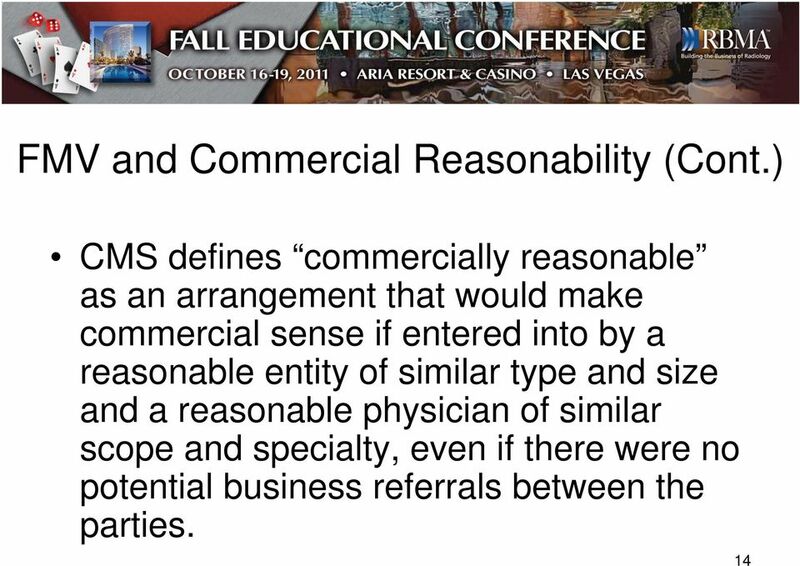 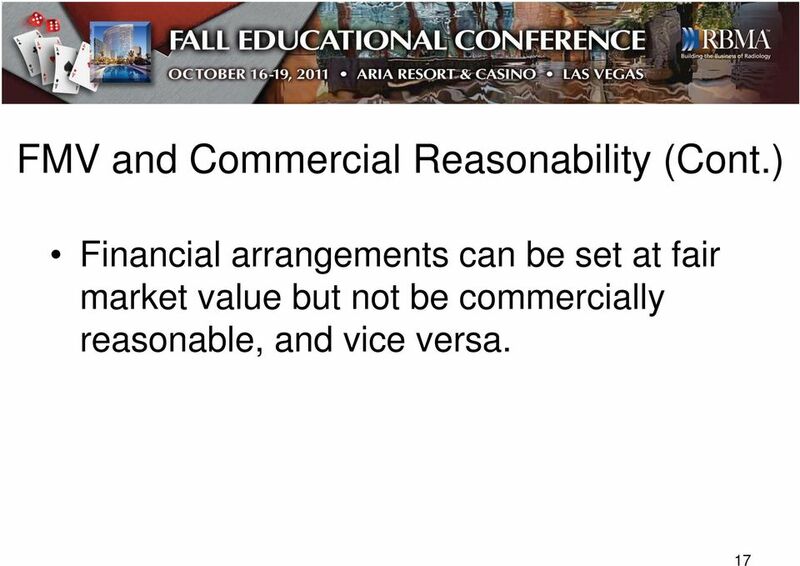 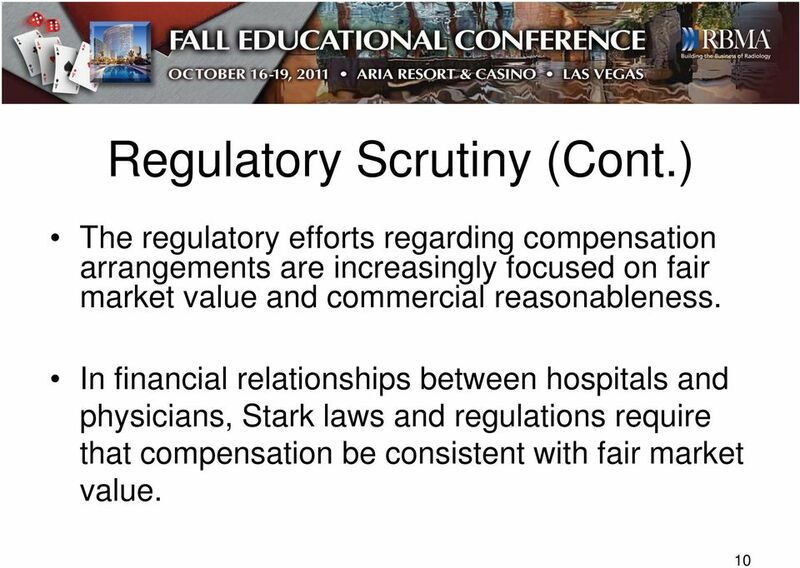 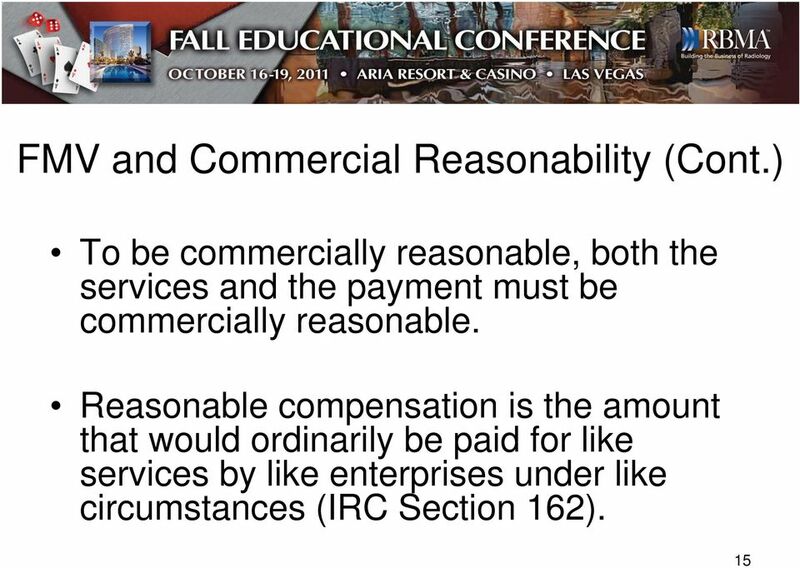 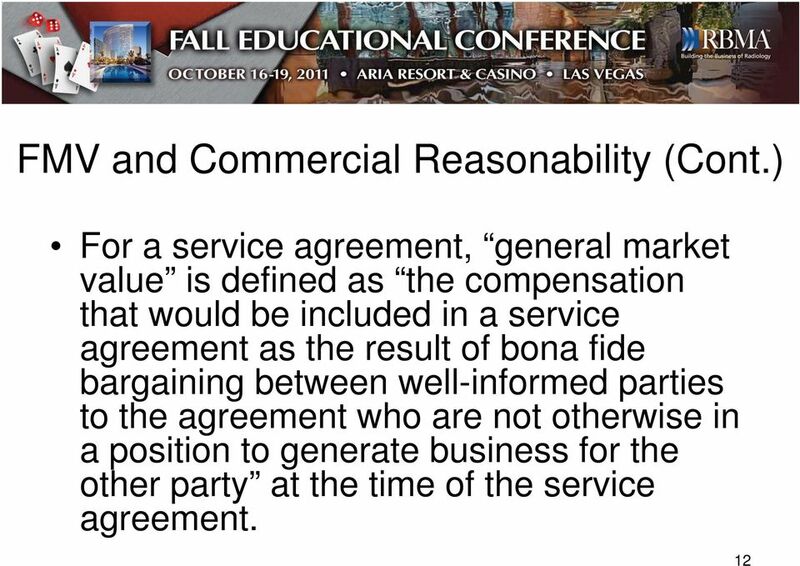 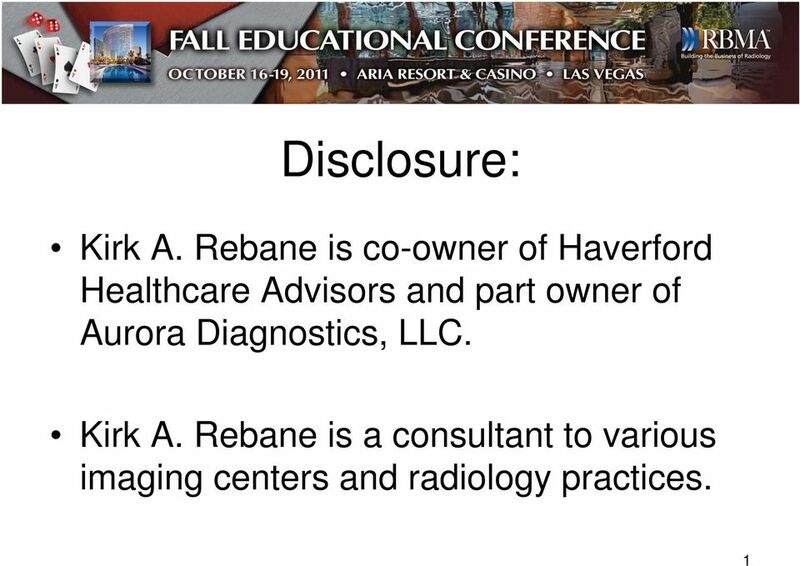 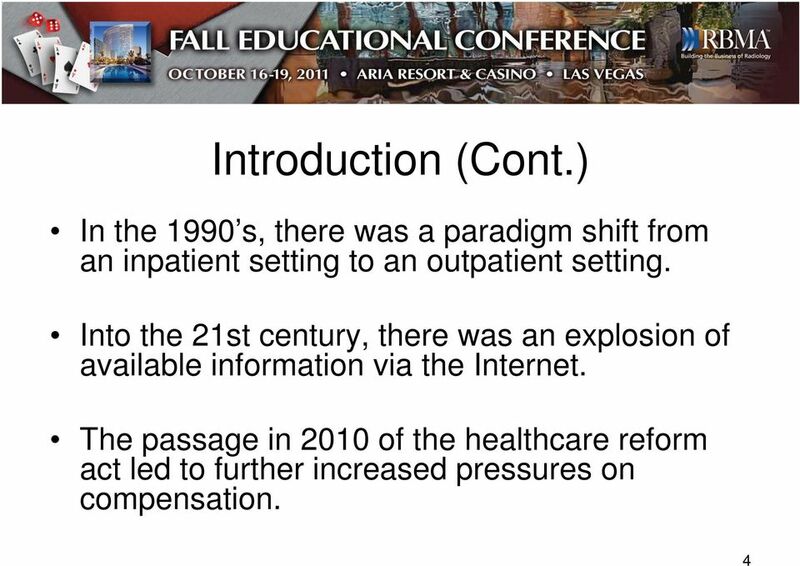 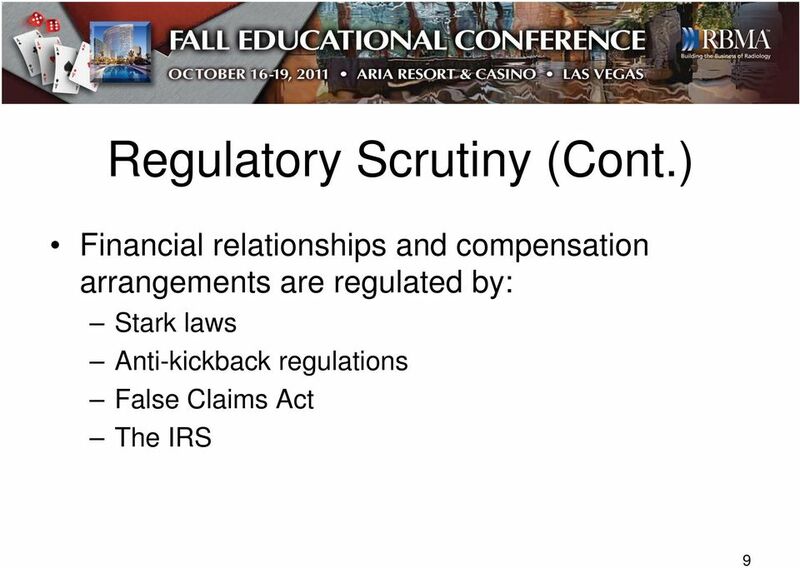 Haverford Healthcare Advisors Kirk A. Rebane, ASA, CFA"
17 FMV and Commercial Reasonability (Cont.) 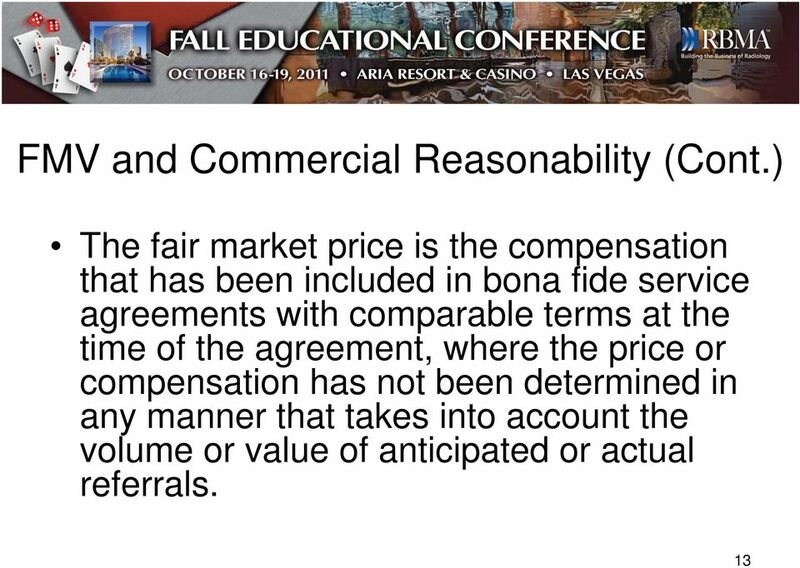 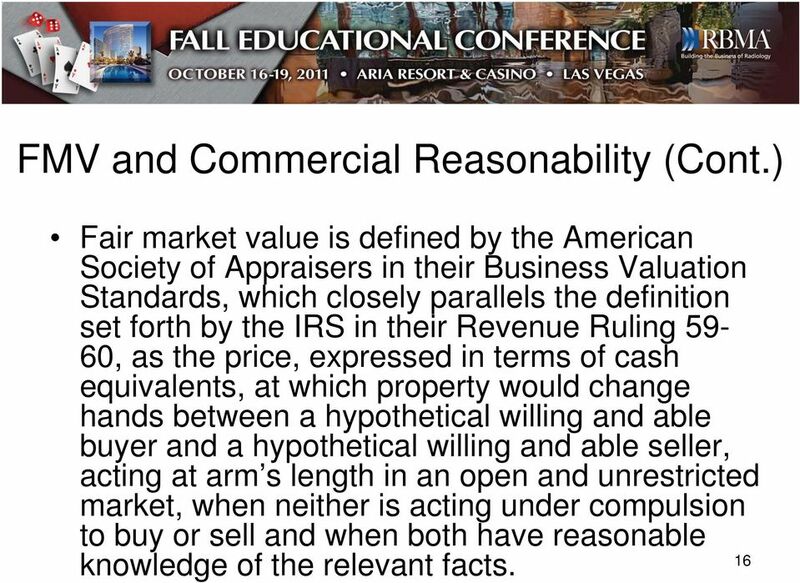 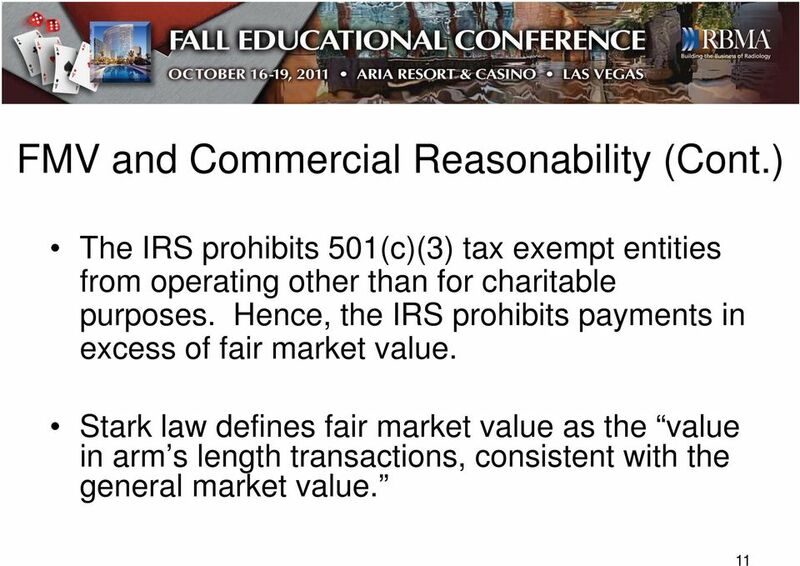 Fair market value is defined by the American Society of Appraisers in their Business Valuation Standards, which closely parallels the definition set forth by the IRS in their Revenue Ruling 59-60, as the price, expressed in terms of cash equivalents, at which property would change hands between a hypothetical willing and able buyer and a hypothetical willing and able seller, acting at arm s length in an open and unrestricted market, when neither is acting under compulsion to buy or sell and when both have reasonable 16 knowledge of the relevant facts.